Epoxy products are similar to duct tape in the sense that they can be used for nearly anything. Epoxy products can be used to coat floors, walls, and it can even be used as a sealant! In this blog, we’ll explain some of the ways that you can use epoxy products to improve and maintain the furnishings in your home. Concrete & Marble Transformerz has provided top-notch epoxy coating services to the Los Angeles and Orange County areas for more than five years. Contact us today for a free estimate! We explained how attractive stained concrete can be in another blog post, and we also stressed the importance of proper stained concrete maintenance. Epoxy sealants are one of the most effective ways to ensure that your interior and exterior stained concrete stays in excellent condition. If your concrete flooring has been damaged, epoxy resurfacing can mask chips, cracks, and other eyesores. One of the benefits of concrete flooring is that it is incredibly resilient. That said, interior floors tend to have a much higher volume of foot traffic than exterior floors, and it’s important to protect your concrete flooring from the wear and tear of everyday life. Applying a water-based epoxy to your concrete floor is one of the most effective ways to protect it, as water-based epoxies bond incredibly well to concrete. Using a glossy epoxy on a floor can add an element of richness and sophistication to your concrete flooring that staining alone cannot. Epoxy is now available in a metallic gloss that many homeowners and businesses find highly attractive. The process of applying epoxy to your outdoor concrete is slightly different, but an epoxy coating is ideal for exterior concrete surfaces. Epoxy and concrete are both known for their durability, and combining the two basically guarantees that your concrete will last you for years to come. Epoxies can turn slightly yellow when exposed to high levels of UV rays, so you’ll need to be sure that you choose an epoxy designed specifically for outdoor areas. California can be both extremely sunny as well as wet and rainy, and epoxy can help to create a non-slip environment, which is perfect for hosting guests outdoors and for providing a safe environment for children. Hiring an epoxy specialist to help you resurface your outdoor concrete ensures that your concrete is properly maintained. The garage is arguably the dirtiest room of any home. Grease, dirt, and the elements can all collect in one area, and because the garage typically serves as little more than a passageway from the car to the inside of the home, regular cleanings don’t tend to be a priority. Hiring a professional to apply an epoxy coating to your garage floor is a great way to make the job of cleaning your garage as easy as possible. 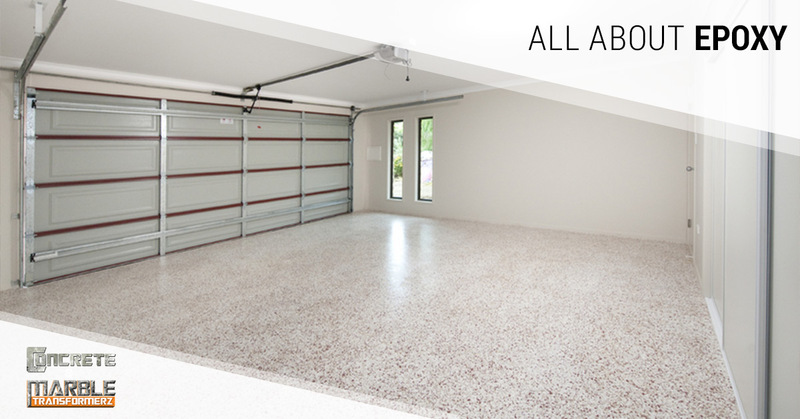 Epoxy coatings resist grease, dirt, and other substances that typically soil and stain garage floors, making it easy to clean your garage on a regular basis. It’s important to find out if your garage floor is emitting moisture, as this can affect the quality and effectiveness of an epoxy coating. 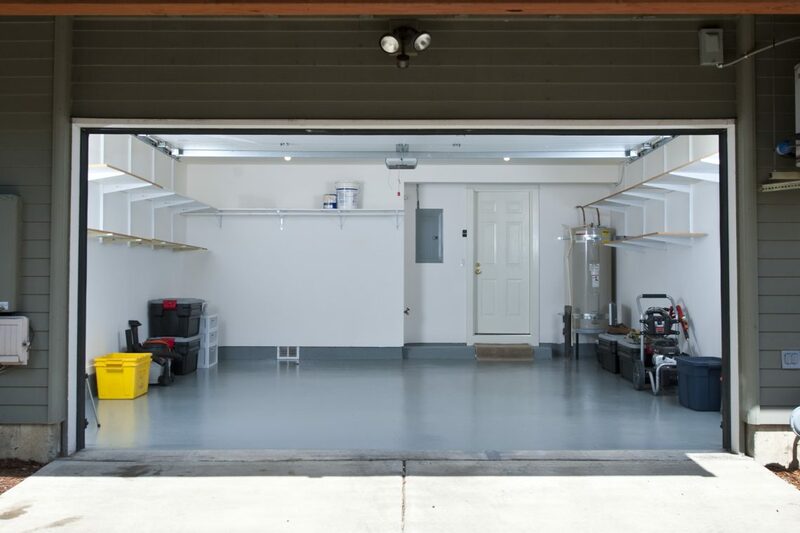 While most epoxy coatings can withstand a substantial amount of moisture, contacting a garage floor epoxy expert to inspect and apply an epoxy coating to your garage floor is the best way to ensure that nothing goes wrong. Not only will enlisting the help of a professional protect your garage floor, but it will also protect your wallet! If you’re interested in epoxy coating or other epoxy-related services, don’t hesitate to contact Concrete & Marble Transformerz in Los Angeles! We’ve helped hundreds of people in Los Angeles and Orange County with our epoxy flooring expertise – contact us today for a free estimate!